The ESMO Breast Cancer Award acknowledges distinguished experts who have devoted a major part of their career and made a special contribution to the discovery and development of education, research and clinical practice in the field of breast cancer. 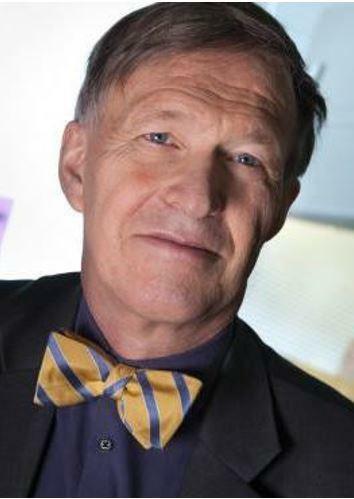 Bergh is Cancer Theme Prefect and Director of Strategic Research Programme in Cancer at the Karolinska Institutet in Stockholm, Sweden, where he is also member of the Nobel Assembly and holds the Mimi Althainz’ Professorship in Oncology. Bergh is also Senior Consultant in Oncology at the Karolinska University Hospital, Acting Chair of the Scientific Council in Oncology/Haematology for the European Medicines Agency (EMA), (3) Visiting Professor of Breast Cancer Research at Oxford University, and a fellow of the Royal College of Physicians in London, UK. Bergh’s research is mainly focused on breast cancer biology, including alteration of characteristics during progression and tailored breast cancer treatments. He is Co-Chair of the Early Breast Cancer Trialists’ Collaborative Group (EBCTCG), whose publications have had a global impact on primary breast cancer treatment, and was Chair of the Swedish Breast Cancer Group (SweBCG) between 1995 and 2016. He acknowledged the patients who have participated in his research, the research team at the Karolinska Institutet, the breast team at the Karolinska University Hospital, and former research collaborators at Uppsala University and Akademiska Sjukhuset. “I also would like to express my sincere thanks to SweBCG and the collaborators within the EBCTCG and the associated team in Oxford, in addition to a long list of other international collaborators, including the St.Gallen International Breast Cancer Conference and the International Consensus Conference for Advanced Breast Cancer (ABC) teams,” he concluded.